Self Portrait 1889 Saint-remy. 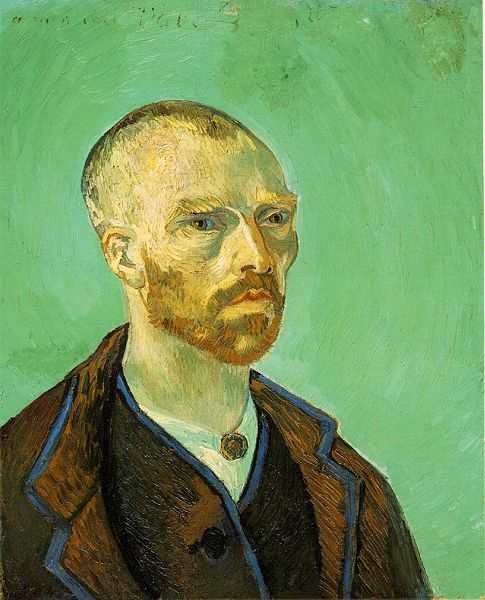 Painted shortly after van Gogh left the St. Remy asylum in July 1889. 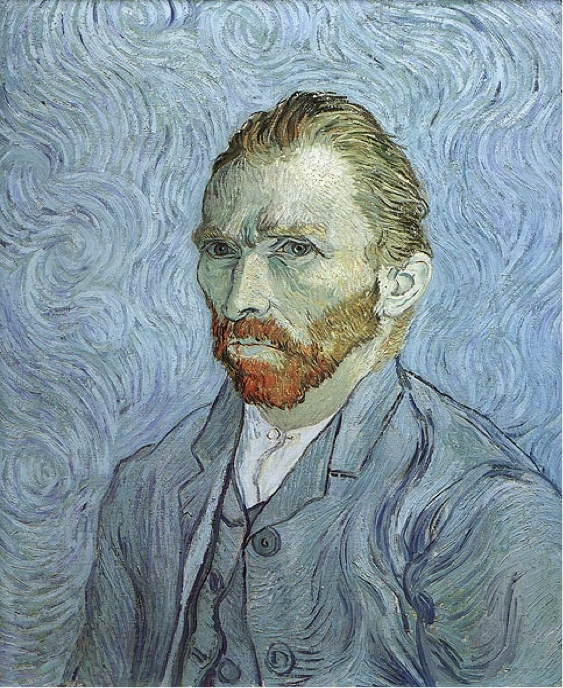 Vincent van Gogh would be 166 years old this month on March 30th 2019. Born March 30, 1853, he lived a tumultuous life full of color, drama, passion, illness and loneliness. 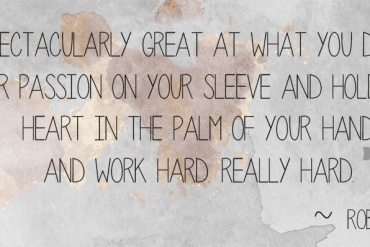 Ahead of his time, he died never knowing the reach of his art and fame. We passed away at 37 after he shot himself (though some scholars believe he was shot by accident). 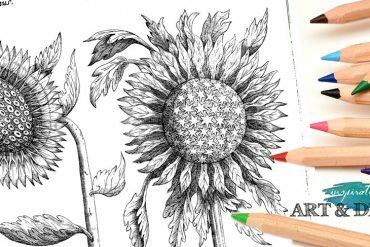 In a short period of ten years, Van Gogh made approximately 900 paintings. Many of his paintings became famous after his death. 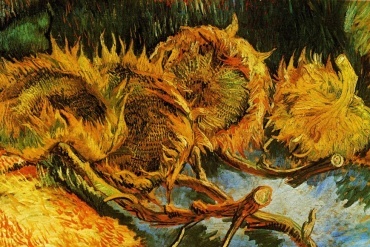 He is famous for bold post-Impressionist style and many are familiar with his sunflowers. However, he created many self-portraits which give a raw glimpse inside his troubled mental state and his unique self-perspective. Most likely, Van Gogh’s self-portraits are depicting the face as it appeared in the mirror he used to reproduce his face, i.e. his right side in the image that is in reality, the left side of his face. Vincent van Gogh, Arles, (1888,) gift; to Paul Gauguin, (1888-1897). 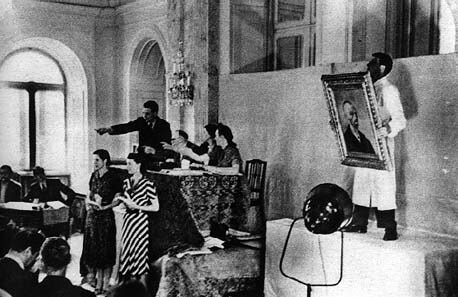 During the Third Reich regime in Germany, Vincent van Gogh paintings were stolen and/or destroyed by German authorities. The self-portrait above that was dedicated to Gaugin, was one of the works branded as Degenerate art by the Nazis, confiscated and sold. The winning bid for this work was $US 40.00 by Dr. Frankfurter. The Bandaged Ear – Not What It Seems? 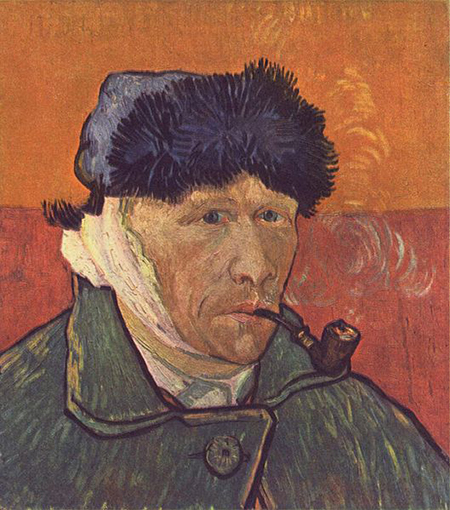 Did Van Gogh really cut off his ear in the legendary act of self-harm and present it to a prostitute who is said to have fainted when he handed it to her? 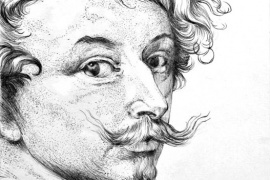 Well, a book published in Germany by Hamburg-based historians Hans Kaufmann and Rita Wildegans, argues that Vincent van Gogh may have made up the whole story to protect his friend Gauguin, a keen fencer, who actually lopped it off with a sword during a heated argument. The historians say that the real version of events has never surfaced because the two men both kept a “pact of silence” – Gauguin to avoid prosecution and Van Gogh in an effort trying to keep his friend with whom he was hopelessly infatuated. This painting is considered one of the most expensive paintings of all time (along with the self-portrait below to his mother). In the late 90s it sold for $90 million in a private sale. This painting was Van Gogh’s last self-portrait, which he gave to his mother as a birthday gift. 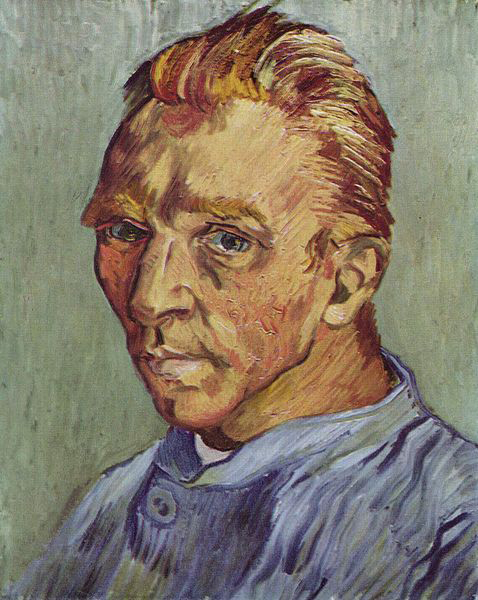 Van Gogh painted Self-Portrait without beard just after he had shaved himself. What made van Gogh’s “Portrait of an Artist Without His Beard” so special was that he painted it for his mother, Anna Cornelia Carbentus van Gogh, for her 70th birthday not long before his suicide in 1890. At the time, van Gogh was ill in Saint Remy, France, and wanted to reassure his mother that he was all right. 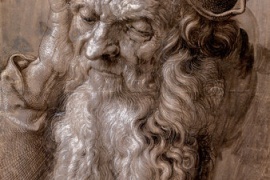 He painted himself with chiseled features, a clean-shaven face and an intense stare. The self-portrait is one of the most expensive paintings of all time, selling for $71.5 million in 1998 in New York. 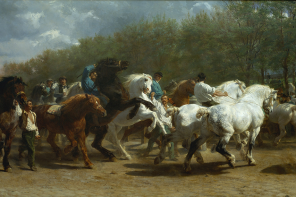 At the time, it was the third (or an inflation-adjusted fourth) most expensive painting ever sold. 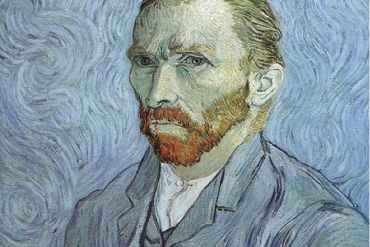 Vincent van Gogh painted over 30 self-portraits between the years 1886 and 1889. His collection of self-portraits places him among the most prolific self-portraitists of all time. To see even more of Van Gogh’s portrait, check out the video below.